West Lafayette, Ind. – The Purdue University Department of Physics and Astronomy announces a pair of newly established awards to honor two of its highest achieving students. The Ramdas Award has been established to recognize an exceptional senior undergraduate who has completed a unique research project. The Raman Prize recognizes a Ph.D. student or recent alumni for their outstanding dissertation. Both awards are made possible through the generosity of Anant K. Ramdas, the Lark-Horovitz Distinguished Professor of Physics and Astronomy (emeritus), and his wife Vasanti Ramdas. Matthew Eiles worked earned his Ph.D in 2018 under the Albert W. Overhauser Distinguished Professor of Physics and Astronomy Chris Greene. His dissertation, “Highly excited states of small molecules and atomic negative ions,” examines two major lines of research in Atomic, Molecular, and Optical (AMO) physics, two-electron systems and Rydberg molecules, and has resulted in seven publications to date. 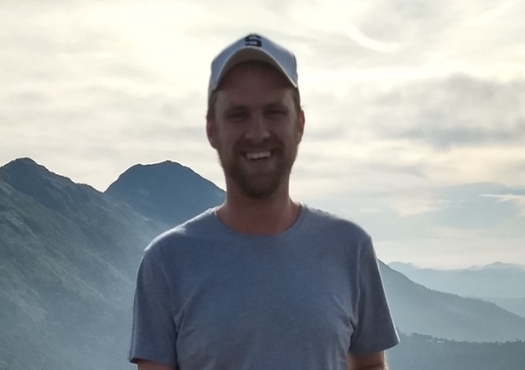 He was awarded a highly competitive Alexander von Humboldt Foundation Postdoctoral Fellowship, and he was recently named a finalist for the 2019 DAMOP/APS Deborah Jin Thesis Award in AMO Physics. He is currently a guest scientist at the Max Planck Institute for the Study of Complex Systems in Dresden, Germany. Matt will present a special seminar "Exploring electron-neutral interactions in 'trilobites,' 'butterflies,' and anions" on Thursday, March 21st, at 11:00 a.m. in PHYS 242.